If you want a fabulous recipe that looks impressive but without all of the work, you’re going to fall over for this two-minute Rustic Apple Tart recipe! Don’t get me wrong. Pizza is awesome. But oh my goodness, there’s nothing like an apple dessert. And honestly, if there’s any kind of pie or tart in my fridge, it’s considered breakfast in my house! And this rustic apple tart recipe is so ridiculously easy to make, it’s going to be an easy go-to for your family. Before we even get into baking, let’s just take a minute and talk apples… because they’re not all created equal. If you’ve ever stood in the produce aisle and wondered what apple to select among the many varieties available, you’re not alone. Apple varieties can differ greatly when it comes to taste, texture, cooking and storage properties, making it important to make the right choice to get the best results for your recipe or pairing. 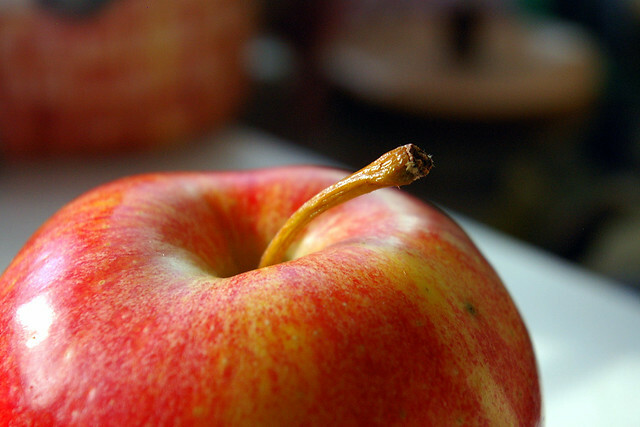 Using the right apple can make or break your recipe. For example, some of the best baking apples are Granny Smith and Pink Lady because these apples hold up particularly well under high heat, retaining a firmer texture. Using a good baking apple is what brings that delicious, subtle crunch to pie and other pastry delights, versus a mushy filling. The special Pinata apple by Stemilt Growers is particularly well suited for baking, as it holds up to heat and boasts classic apple flavor with a tropical twist. For everyday fruit platters, snacks and appetizers featuring fresh, sliced or chopped apples, Honeycrisp is a fantastic option because of its incredible fracturing crunch and a refreshing sweetness similar to fresh apple cider. (And, Honeycrisp is our personal favorite to snack on.) For whipping up a classic chicken salad, try Fuji or Golden Delicious apples, which are among the sweetest around – the extra sweetness contrasts with the savory ingredients for a more complex flavor. These apples are also ideal for applesauce due to their soft textures. At appleforthat.com, visitors can type in what they plan to cook – from broad categories such as salads, smoothies and snacks, down to specific recipes, such as pink applesauce, fritters, candy-coated snacks and more. The website provides information on the perfect apple to use plus suggests recipes and further information – like tips, health benefits and insights on storage and cooking – helping make the decision easy, no matter what you’re making. 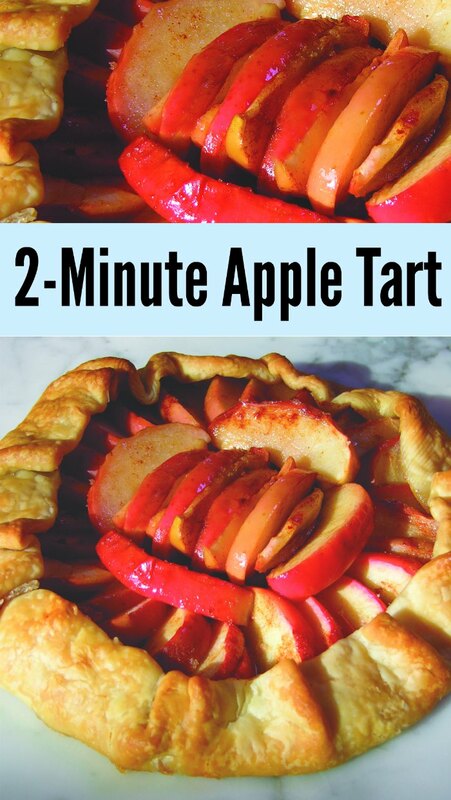 For more heart-healthy recipes loaded with antioxidants, vitamin C and fiber, such as this easy, two-minute version of a traditional apple tart, which uses Pink Lady apples, visit appleforthat.com. Remove pie crust from refrigerator and warm to room temperature, about 15-20 minutes. Unroll crust and place it on large baking sheet. Arrange sliced apples on crust, leaving about two inches of space around edge. Chop cold butter into small bits and scatter over apples. Mix sugar and cinnamon together and sprinkle over apples. 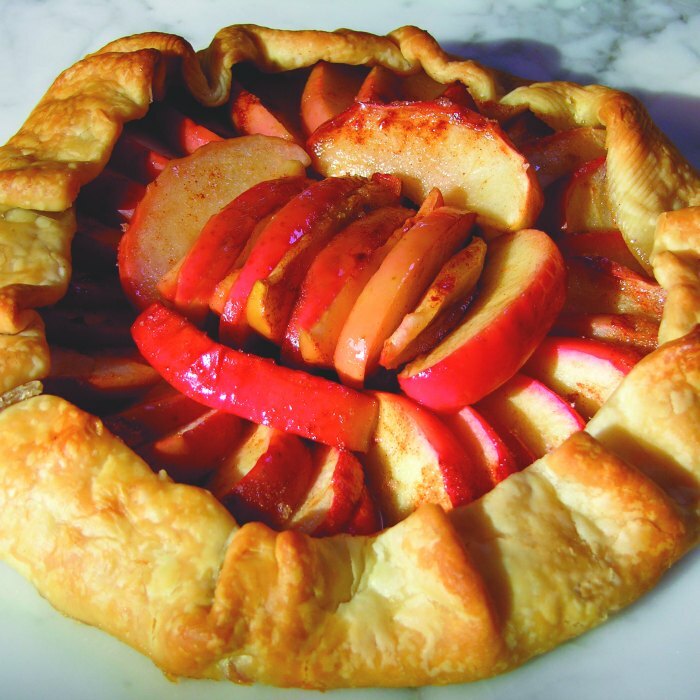 Fold two-inch section of open pie crust over apples – this will not cover apples, but contain them inside crust. Bake 20-25 minutes until crust is golden brown and apples are just soft. A fabulous recipe that looks impressive but without all of the work! Remove pie crust from refrigerator and warm to room temperature, about 15-20 minutes. Unroll crust and place it on large baking sheet. Arrange sliced apples on crust, leaving about two inches of space around edge. Chop cold butter into small bits and scatter over apples. Mix sugar and cinnamon together and sprinkle over apples. Fold two-inch section of open pie crust over apples - this will not cover apples, but contain them inside crust. These look amazing–and amazingly simple! Thank you; I’m pinning today and trying one week soon. While I knew Granny Smith were great for baking, I never knew the WHY until you enlightened me. 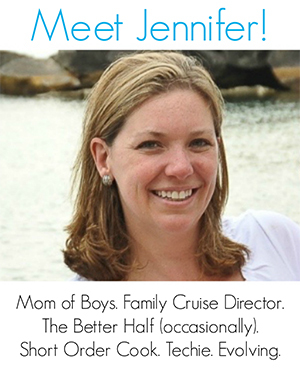 Thanks for this post Jennifer! You had me at 2 minutes 😉 Thank you for linking up to the Creative K Kids’ Tasty Tuesday, I can’t wait to see what you come up with next week! LOL! You’ll love this easy way to make dessert this weekend 🙂 We went apple picking and I just can’t wait to make it again.